Hello everyone, I am so glad its Friday. Just a quick post today to share another of my birthday cards from the Create a Cupcake class. 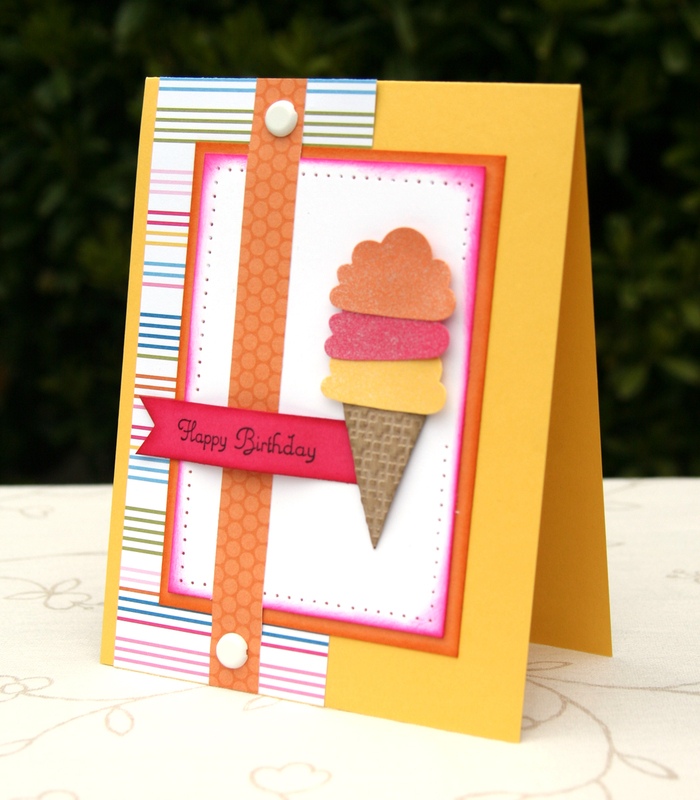 This card uses the cupcake topper to create a fun layer cone of ice cream. The cone is ran through the Big Shot in the Lattice Embossing Folder to give it more of a Waffle Cone look. Before punching the ice cream, I sprayed the cardstock with Vanilla Shimmer Smooch Spray. I love this, it will be great for my great-grandchildren’s birthday cards. How FUN! Love the textured cone and the use of the cupcake punch for the ice cream! She shimmer smooch is an awesome touch too. Great design!